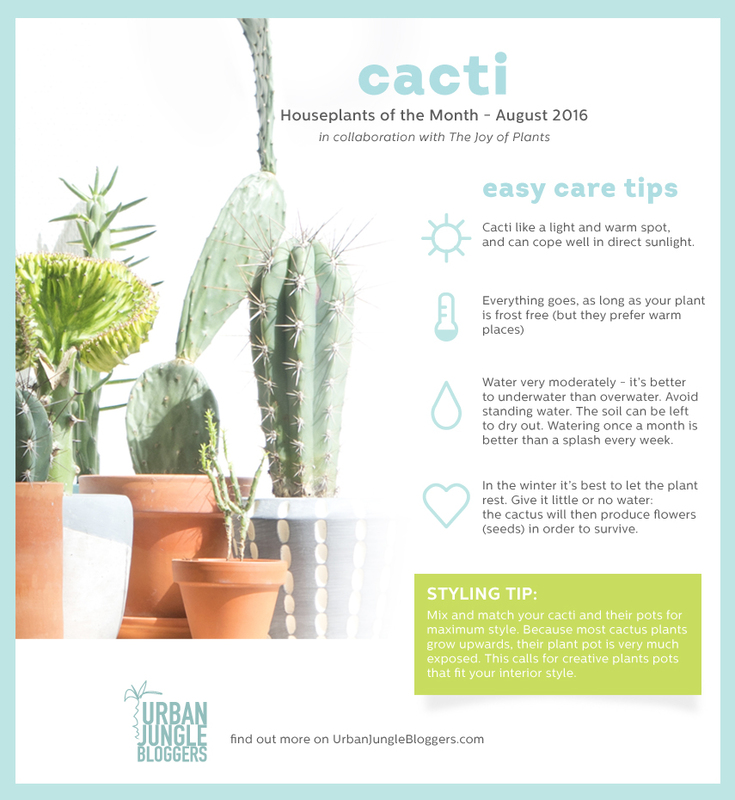 Scorching August days with high temperatures can be a sort of challenge for your houseplants sometimes – but not for the ‘Houseplants of the Month’ in August – the famous cacti. 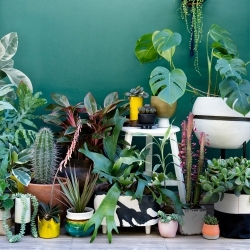 They have been trending for quite a while but they are still a popular green addition to interiors – even to the homes of people who dislike regular plant care! 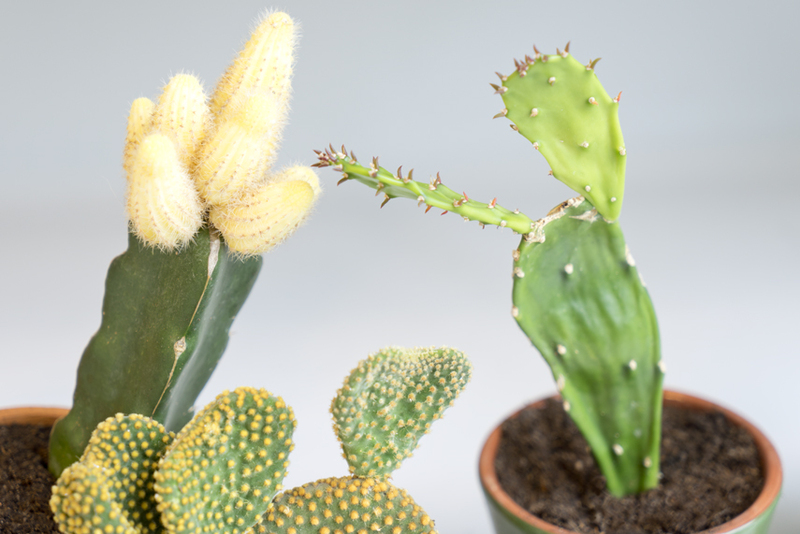 Cacti are not only prickly fellows, they are some of the most unusual and decorative plants around. They come in all kinds of shapes and sizes, varying hues, they surprise with colourful blossoms, they grow like poufs, like pillars, they come bare, spikey or fluffy. 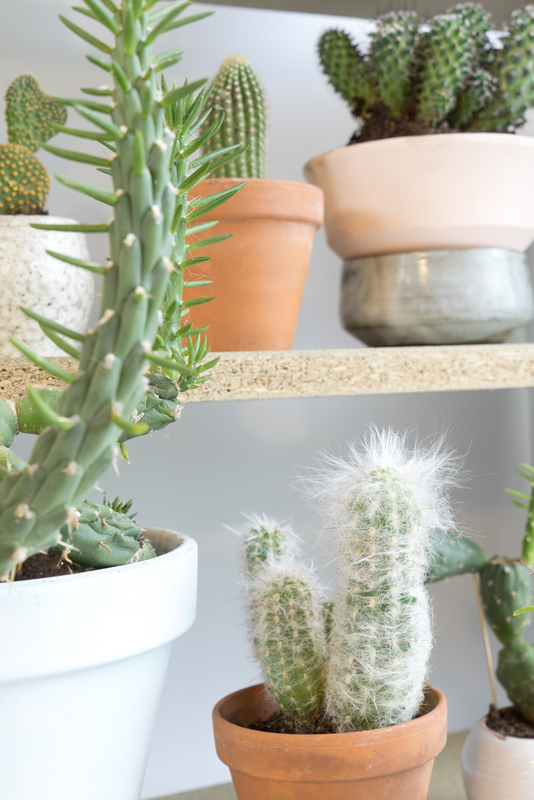 They equally resonate with today’s lifestyles and living trends where boundaries are flurry – indoors and outdoors merge, living and working areas grow together and the cactus is an excellent plant for either way. They thrive indoors as well as outdoors, they add calm and focus in a vivid living environment or add geometric shape and visual highlight in a home office. In a nutshell: they are an all-round plant for the contemporary dweller! 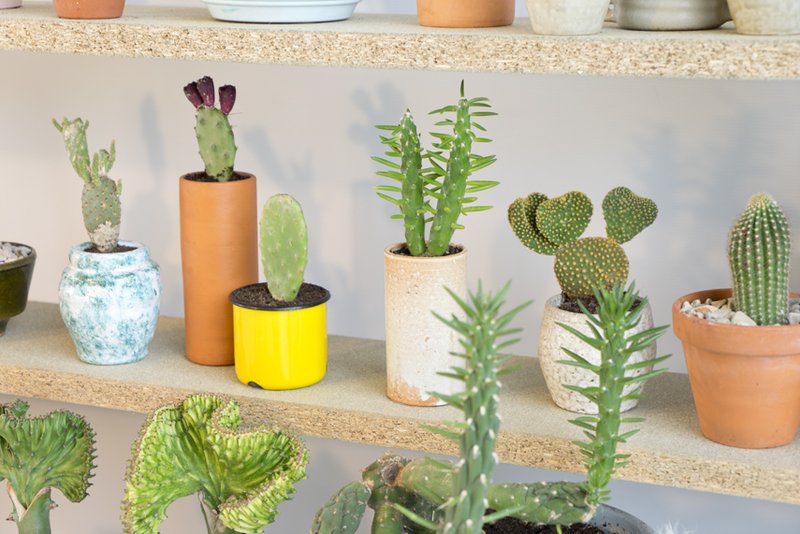 When it comes to interior styling you can go wild and decorate with cacti in all kinds of ways: cacti look particularly pleasing when paired with smooth and functional materials such as wood, ceramics, concrete or colourful injection-moulded plastic. They also look very genuine in terracotta pots and recall the arid south where they stem from. 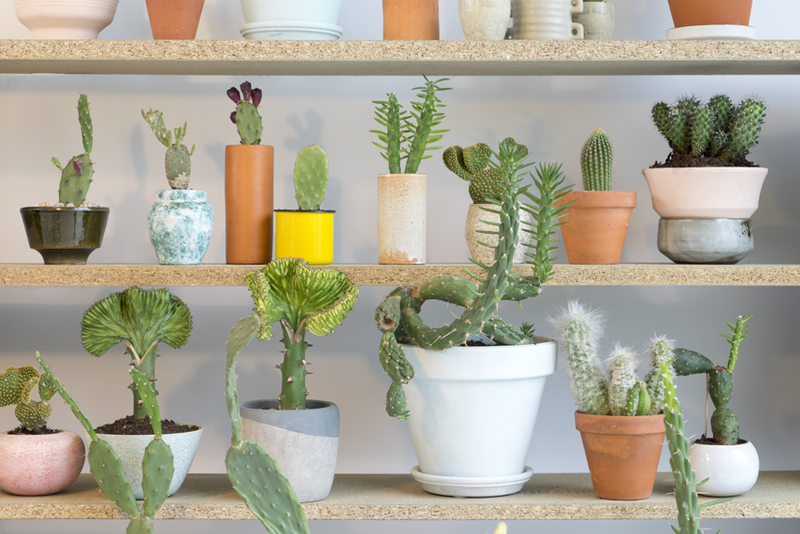 Cacti can either bring calm and focus into lived-in interiors and vivid interior stylings like bohemian homes. At the same time they can also bring visual highlight and geometrical accents in calm and monochrome interiors. With their various shapes, sizes and colours they can perfectly match and accentuate your personal interior style. 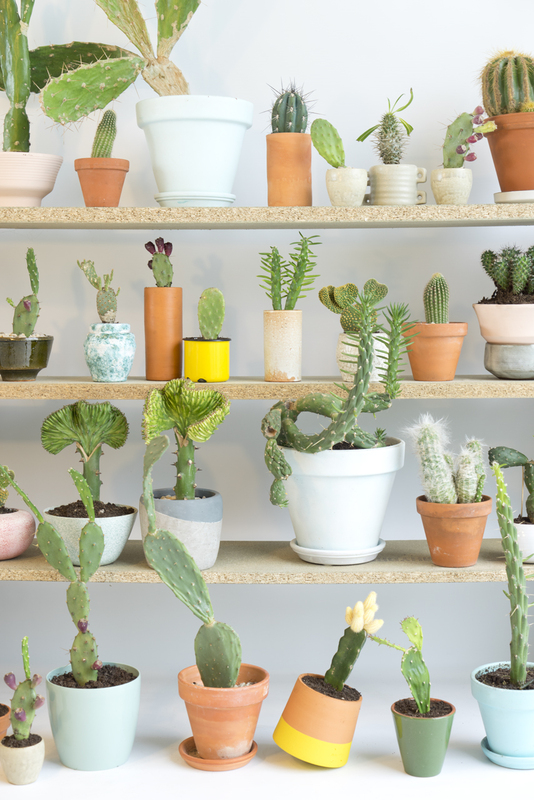 Plant care for cactuses is the easiest part: they like a light place (think of a south facing windowsill) and little water. They prefer less water than too much water which eventually is fatal. They store water in their roots, leaves and stems so you can even forget to water them once in a while. In winter you can leave them to rest with less to none water at all – they will then produce flowers (seeds) to survive. But cacti are not only decorative, they are fantastic in general: for centuries cacti have been a source of food, drinking, medication, tools and building materials, they have adapted to the harshest living environments and in countries like Mexico they are even of national importance being depicted on the national coat of arms. 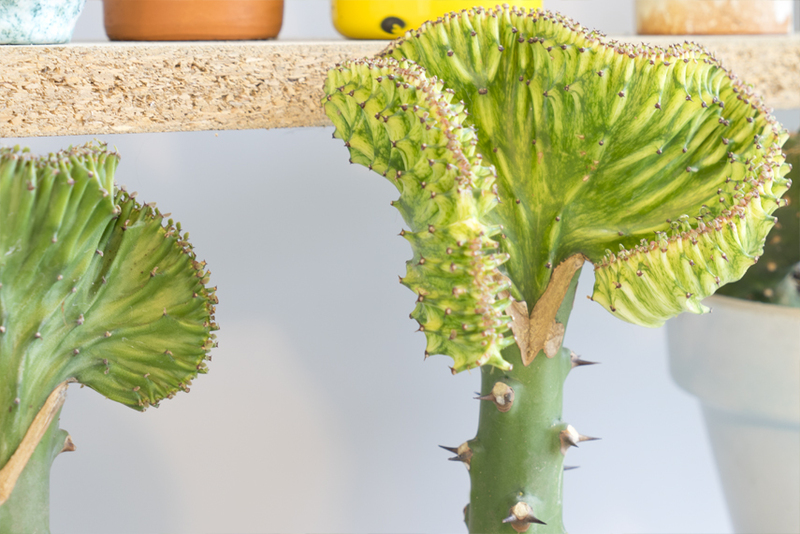 And even though your indoor cacti might be of a manageable size, some species can grow up to one meter thick and 20 meters high. A real cactus tree!